The Clog investigates: Where on earth is 'Astroworld'? The Clog investigates: Where on earth is ‘Astroworld’? With highly successful albums Rodeo and Birds in the Trap Sing McKnight among his repertoire, it’s no surprise that fans are extremely overjoyed about the release of Travis Scott’s third studio album, Astroworld. Scott has been teasing its release since December 2016. After nearly two years of anticipation, the thought of finally getting new music perfect to listen to during the summer months was a long-overdue moment of satisfaction for his loyal fan base — until that moment never arrived. Many falsely believed that the album would drop on July 13, because this date written numerically, 7/13, corresponds with a popular Houston area code. Scott, a Houston native, has quite the affinity for the number 713, paying homage to his hometown throughout the various projects of his career. The rapper even has a tattoo of the area code on his arm, he released his Air Jordan 4 ‘Cactus Jack’ sneakers at exactly 7:13, and the length of his “way back” music video is precisely 7 minutes and 13 seconds, so it’s no surprise that Scott had people eagerly waiting until 12 EST for the album drop. The #Astroworld tag even started to trend on Twitter. Amid the cloud of ambiguity that Scott left his fans under, it seems like we’ll never hear the day of an Astroworld release. Is Astroworld just a myth? What has Scott been up to? When will we be able to say Astroworld is “music to our ears”? Here is what we know so far. Scott is finishing up his record in Hawaii. What better place to make music than in literal paradise? Just like how fellow GOOD Music artist Kanye West dashed to Wyoming to complete his ye album, Scott has followed a more tropical pursuit by setting up camp in Honolulu. Bringing out his go-to producer Mike Dean and a slew of collaborators, including artists such as Nav and Sheck Wes, to name a few, we can always count on Scott to bring the heat that’ll make the wait worthwhile. During his Rolling Loud performance, Scott teased unreleased music. 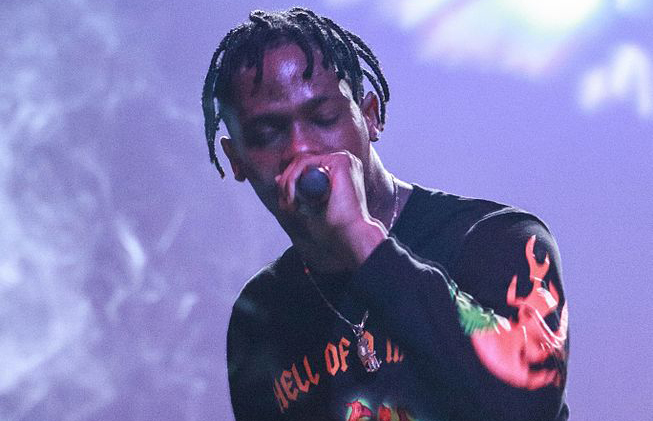 While headlining at Miami’s Rolling Loud Festival this past May, Travis performed a song that fans deemed “Stargazing.” The unreleased song made fans all the more hyped for Scott’s upcoming album, as it was the first taste of what’s to come from the rapper. On May 4, Scott officially released his single “Watch” featuring Lil Uzi Vert and Kanye West, which also included a sample from a commercial for the now closed-down Astroworld theme park. While there’s no guarantee either of these songs will make the album’s cut, the upbeat pace and bass-boosted sound of both tracks are good indicators of Astroworld’s musical theme. Scott was reported to feature on KIDS SEE GHOSTS but has been extremely devoted to his own work. There’s no doubt about Scott’s admiration and respect for Kid Cudi, even going as far to deem Cudi a “musical equal” to the late Michael Jackson. Although Scott’s verse didn’t get featured on Kanye West and Kid Cudi’s collaborative effort, there’s no bad blood between the artists. Scott has been hard at work with music of his own, prioritizing Astroworld the entire time. Although it seems like Astroworld is light-years away, the release is closer than you’d think. Now, all we can do is sit patiently awaiting the day that we see its cover work on our Spotify or Apple Music accounts. Hopefully, we’ll get more teasers from Scott’s personal social media accounts to make the wait a little more manageable.